On Day 2 of our trip, Mr. Sugihara took us to various papermakers in the village. 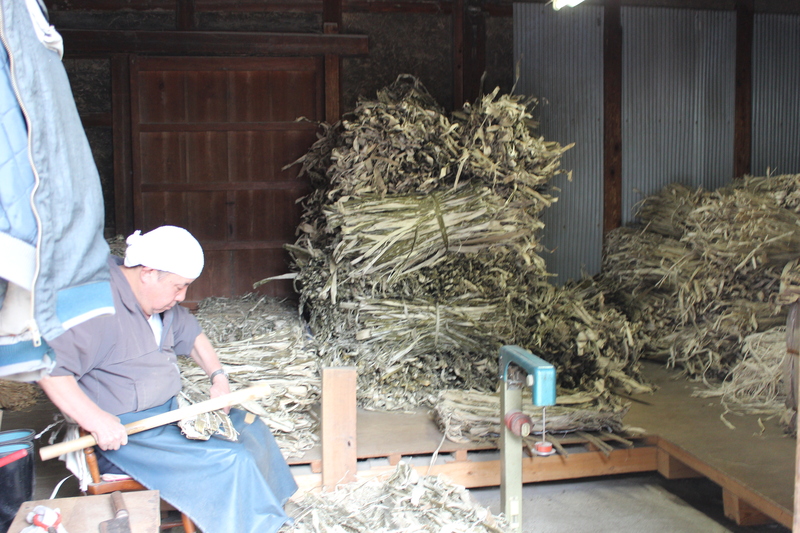 The first stop was Heizaburou Iwano’s mill, where our Iwano papers are made. 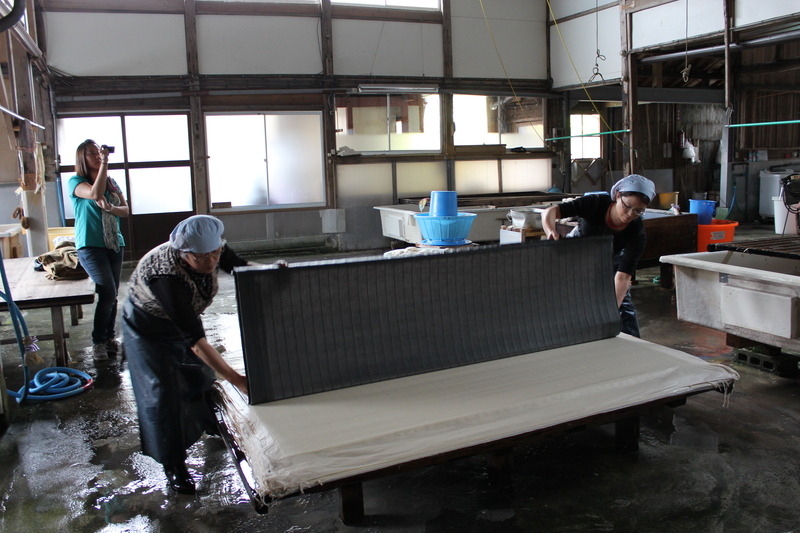 Being one of the largest paper making factories in Japan, the number of workers as well as the amount of effort and hard work put into each process was surprising. 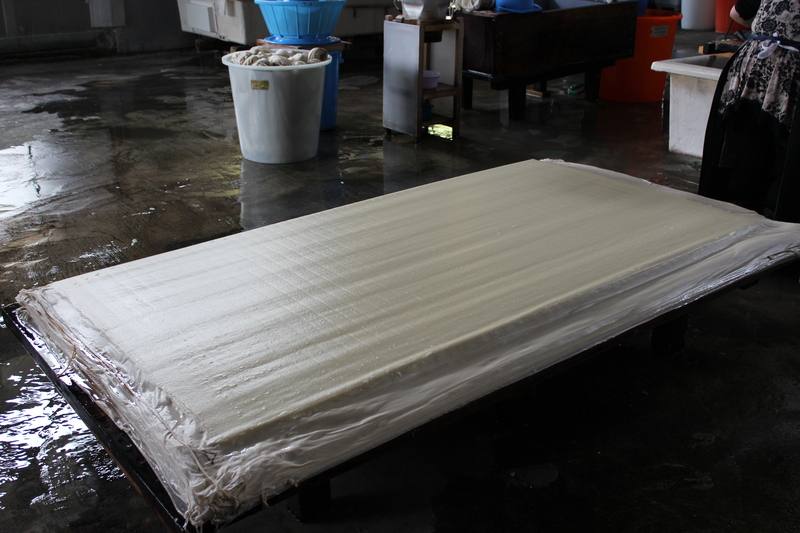 Each delicate step must be done with extreme care, or else the paper will not become the high quality that it is.